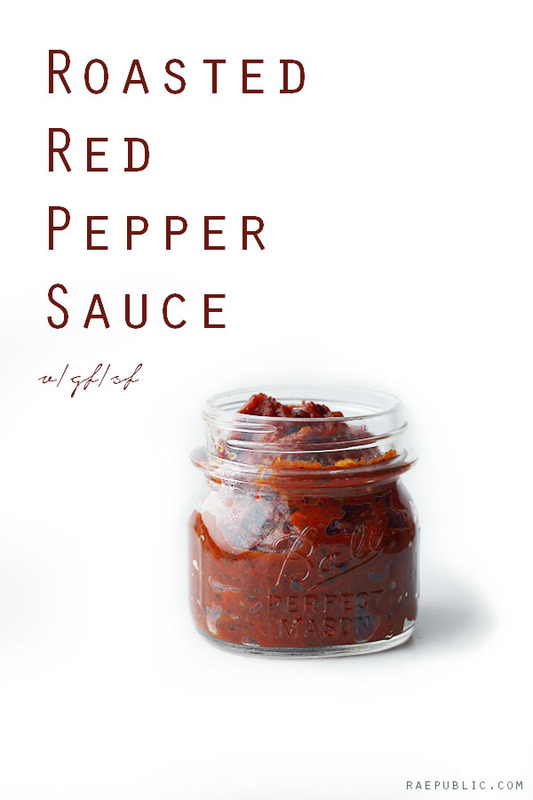 This vegan roasted red pepper sauce is easy to make and is super versatile. You can eat it with pasta or as a delicious plant-based pizza sauce. Tomatoes are an excellent source of potassium and vitamin C and A.
De-stem and de-seed red peppers. Cut tomatoes and red peppers in half. Line baking sheet with silicone baking mat or parchment paper and spread tomatoes and red pepper halves across baking sheet. Bake red peppers and tomatoes for 35 minutes. Throw all ingredients into a food processor and blend away until creamy. Transfer ingredients into a small sauce pan to keep warm. Pour over noodles or spread on pizza and enjoy! If using this sauce for pizza, do not recommend add water. However, if you are using it over your favorite noodles adding a bit of water might be nice. If you want to use this on a plant-based pizza, try this deliciously vegan Red Pizza recipe.